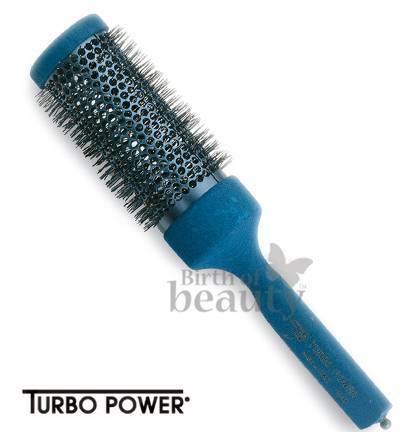 The Turbo Power Blue line brushes feature an ash wood handle covered with velvet venice, with anti-static finish. Aluminum tubes with air flow holes and blue titanium finish. 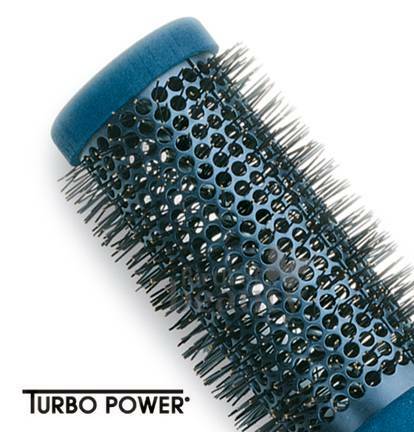 Bristles are the highest quality nylon available, guaranteed not to lose its form under the most extreme conditions. The handles have a comfortable grip design and built in section divider.